The trailer of Shah Rukh Khan’s forthcoming release ‘Zero’ with leading ladies Katrina Kaif and Anushka Sharma has been trending on UC Browser and UC News. SRK’s effortless performance as Baua Singh has already created a buzz everywhere ever since the promotion came out. Zero is slated to hit the big screens on December 21st, making it a perfect romantic year-end watch. As the Trending Partner of Red Chillies Entertainment, UCWeb presented the latest updates about the movie and its stars. 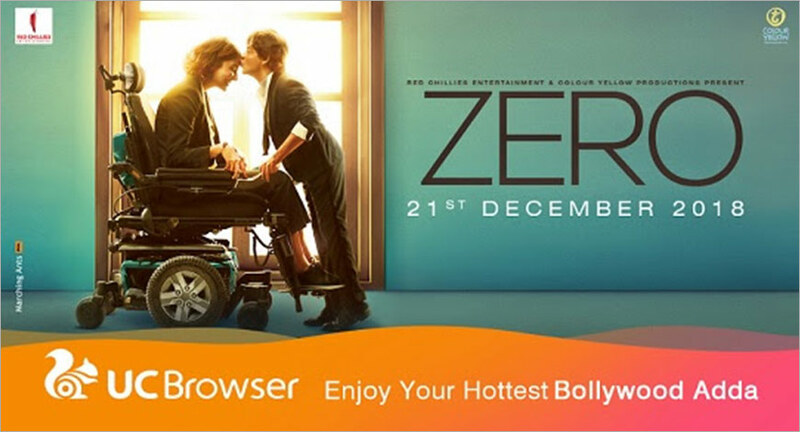 To amplify the Zero influence, UCWeb owned UC Browser and UC News has been feeding the fans of the movie contents. Meanwhile, VMate, the short video platform of UCWeb, was witness to a mime storm raised by users. Tens of thousands of users joined #WoMereBarabarThi campaign created by them and mimed along to dialogues by SRK in Zero. In an exclusive byte on the UC platform, SRK shared that one must live their life to the fullest, irrespective of the challenges. The byte will also be launched on 21st December. UCWeb and Red Chillies are not leaving any chance to make the movie a blockbuster. As the No.1 third-party mobile browser in the world, UC Browser together with UC News aims to deliver enjoyable contents and experience to millions of users.